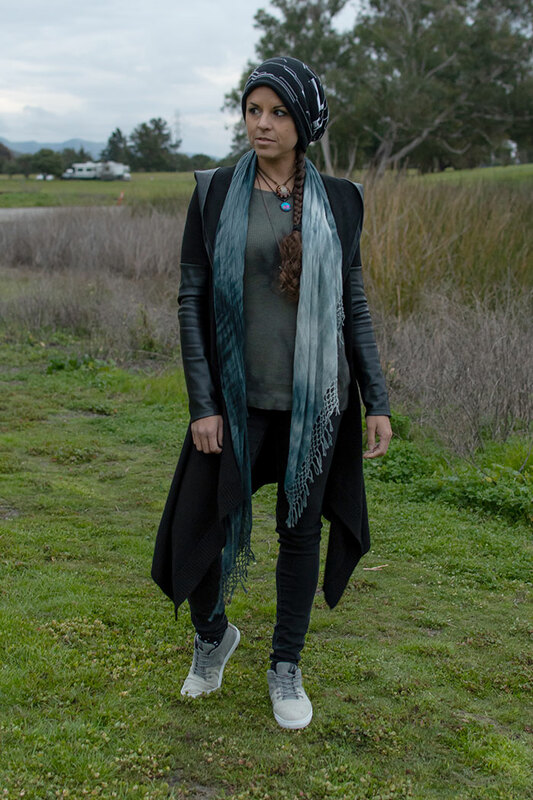 Decadent Dissonance - Denim, sustainable style and design. I get so excited seeing more of my all-time top favorite denim brands doing their best to go sustainable! For those who don’t know, denim has been such a guilty pleasure for me—I love denim, but the manufacturing process is quite dirty. It takes a ton of water and chemicals to get those worn-in fades we all like so much, and then we get into the pesticides used with growing the crops and the amount of land that is necessary to produce all the cotton needed. Joe’s, Patagonia, Reformation, Liverpool and Everlane are all brands that are revamping or have revamped their production to help support a healthier planet. In 2018, J BRAND released their first ever sustainable capsule collection, and they’ve just followed it up with another big step! J BRAND began in 2005 at the height of the premium denim craze, and has been one of the leading brands in the industry due to their clean and classic cuts with vintage appeal and modest styling. I reviewed a few pairs from them, my favorite being the Photo Ready High Rise Maria skinny in 2014 which is still a favorite in my closet today. In 2018, they released their first sustainable denim collection which focused on a reduction of waste, chemicals and water use. I’m excited to see they’ve just released their second eco friendly denim collection, which uses up to 99% less water and several styles use 30% recycled cotton. 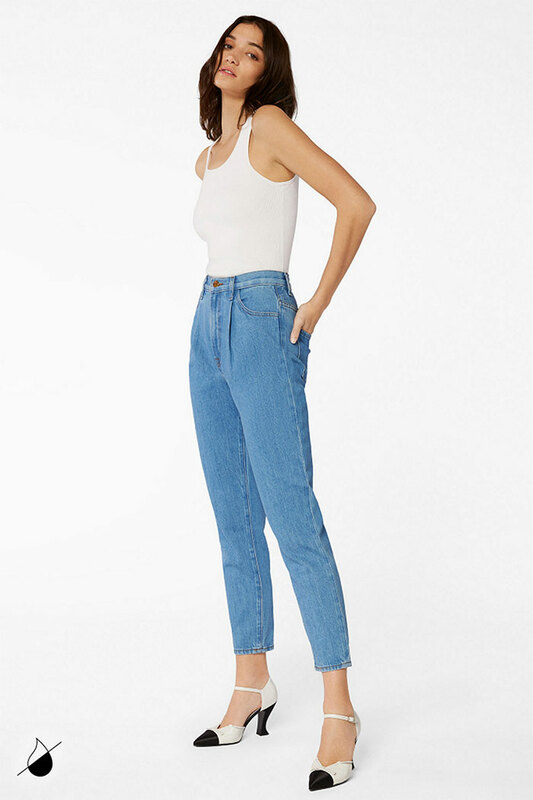 J BRAND is also using sustainably produced, biodegradable tencel fibers and botanical polyesters, recycled thead, hangtags made from recycled paper, and sustainably sourced hardware—and in 2019, plans for 50% of all women’s denim to be made from sustainable elements (and 100% for men’s), more faux fur options, and faux leather products. They are working hard to eventually be 100% sustainable across the board! Here are some of my favorite pieces from J BRAND’s new eco-friendly denim collection. Shop the entire J BRAND sustainable denim collection here. When it comes to handbags and footwear, usually I go for leather. This is mostly for the durability factor, but also because it also ages so beautifully, and it is a byproduct that otherwise would be discarded. Also, I buy most of my stuff secondhand nowadays, so since I understand the problem of the meat industry being so terrible for our environment, this helps me feel a bit better. However, I’ve noticed the animal friendly, vegan community really making incredible strides in their manufacturing practices, with vegan leather being just about as strong, if not as strong, as the real thing. Matt & Nat has been an amazing vegan handbag brand on my radar for quite some time now, and I’ve carried a few of their products for awhile and they’ve held up quite well! If you’ve been reading my blog for long enough now, or paying attention to the increasing awareness and numerous brands that have stood up to make a change in apparel manufacturing, you might already know about how dirty of an industry it can be. From CO2 emissions to water usage to fabric waste and so much more, players within the fashion industry have a lot of work laid out in front of them to clean up their act. I’m so glad, however, that this isn’t such a hard concept to grasp anymore, since as mentioned, more and more brands are either working on it or have already revamped their practices. Reformation is one of those brands and it’s about time I give them a proper shout out! I think by now we’re all aware of the problem that is our global dependence on single-use plastic, and how our efforts to recycle aren’t quite going as well as expected. Most ends up in landfills, and our oceans, creating more problems than we know how to fix with our rapidly growing population. I’ve been stoked to see several companies stepping up to help fix the problem, like G-Star RAW with RAW For The Oceans (which is a line of apparel made from plastic taken right out of our precious waters), Threads 4 Thought and Teeki (both manufacture active apparel made from recycled plastic bottles) and Free Bella (swimwear made from…you guessed it, recycled plastic bottles). 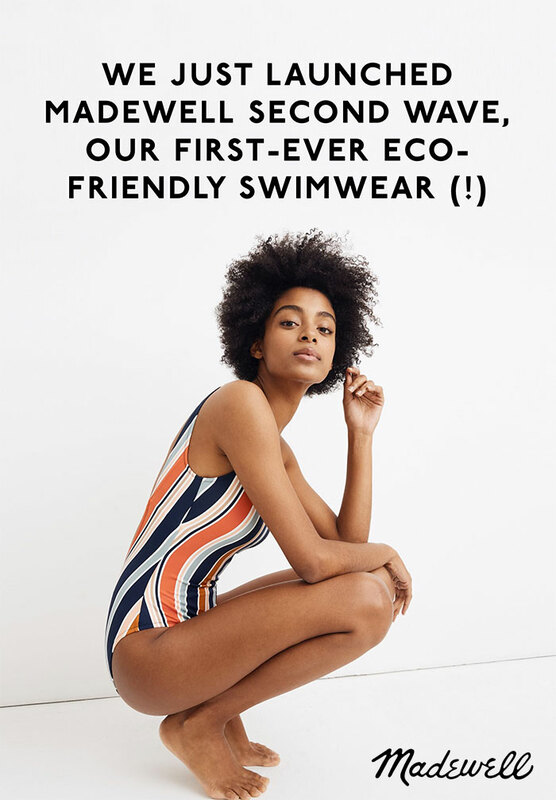 Now much-loved, size-inclusive brand Madewell has jumped into the mix with their own line of swimwear made from recycled plastic bottles, called Second Wave. I am so stoked to finally have had a legit winter here in California…it’s actually been pretty cold for those of us who aren’t quite used to it, and it’s been raining quite a bit, taking us just about out of our drought! I’m definitely one for the warmer summer days, but I’m absolutely loving this cold, wet (and even snowy with hail at times) winter. When it’s as cold as it is, my go-to boots these days have been my Dr. Martens in smooth leather, as they are fairly weather repellent. I’m too afraid to wear many of my nicer leather boots when it’s wet out for obvious reasons! My Docs are warmer than most of mine as well, as are my Oliberté boots (an awesome ethical brand from Ethiopia), but I guess I wasn’t really sure what cozy was until I was approached to review a footwear brand I hadn’t heard of before, Baabuk. Joe’s is one of those premium denim brands where you really cannot go wrong! The denim market is so incredibly saturated, with emerging brands facing the challenge of finding a stand-out brand image and niche, and existing brands being constantly challenged to reinvent themselves as the industry changes to stay on top of new innovations and demands. 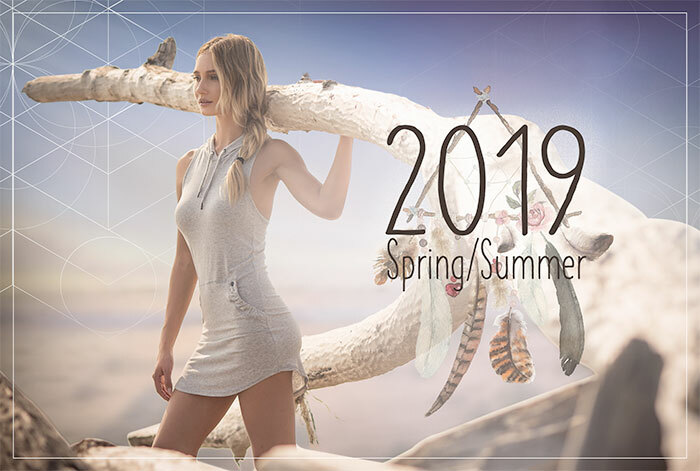 Joe’s has been around since 2001 at the height of the premium denim craze, when other names like 7 For All Mankind and True Religion were seemingly instant household names and popular celebrity favorites. 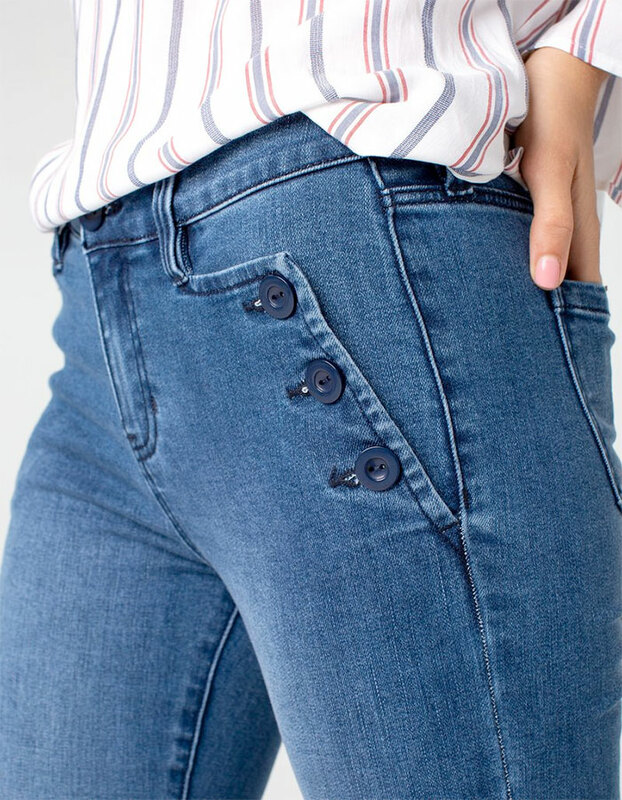 Every piece I’ve had from Joe’s has been a pleasure to wear, and they are also one of the first big denim brands to cater to more curvier shapes (regardless of actual size). Spring is just around the corner already, and Joe’s has released a great collection of jeans made for those who are looking for a better fit. I personally have a curvier shape from weight training, so I am excited to share these new curvy denim styles for Spring from Joe’s Jeans! 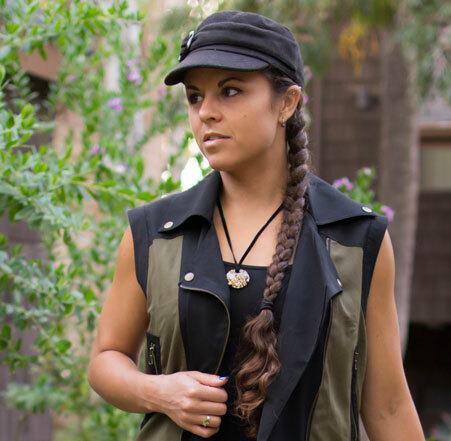 As you may already know, my main focus on this blog has slowly but surely fine-tuned itself into a focus of eco friendly and sustainable style over the years. This is partly due to the fact that denim brands (which I was initially focusing on the most and still love) gradually realized how dirty the wash process is, as did the apparel industry in general, and as awareness grew they finally did their part to make necessary changes. It’s definitely a passion so I’ve decided to keep sustainable style a prominent focus here! It’s easy for me to find sustainable non-denim items to write about, but it’s still tougher to create consistent posts in the world of sustainable denim, which is why I am super happy to present to you a new discovery: these new eco friendly jeans from Liverpool! I’m a little obsessed with ways to contain and organize things, whether it be boxes, bags, drawers, or any of that fun stuff from the organization department of Bed Bath and Beyond. 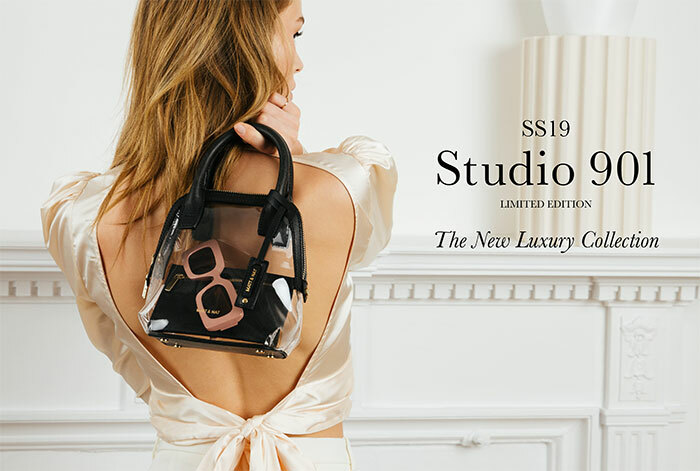 Collecting nice bags, just like shoes and jeans, naturally has been a fun way to entertain that taste—combined with my love for creativity and style, they’re a sure hit, right? I love quality, organization, good design and a fun way to express myself beyond what I’m immediately wearing. I own bags that fit modestly with my day’s outfit, and others that are more like statement pieces for when I’m feeling a little extra funky. I haven’t actually purchased a bag in quite a few years now, but it’s always fun to look! One brand that I recently discovered and has earned a spot in my mind is Susan Alexandra, who makes these super cute woven beaded bags! 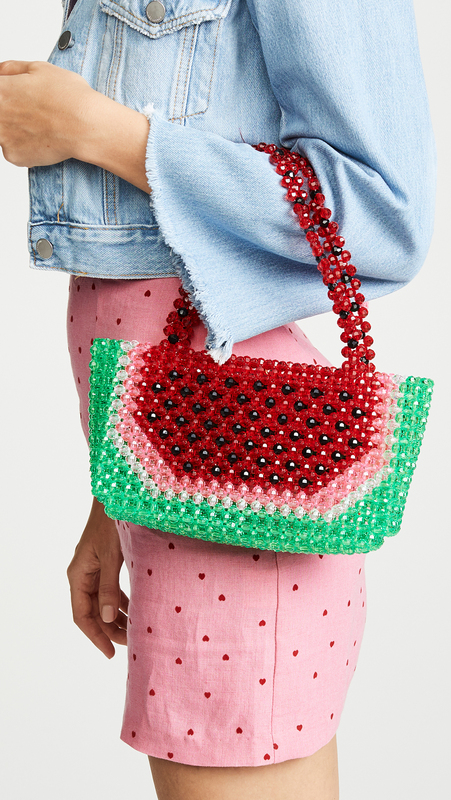 Not only are they fun, head-turning, conversation-sparking statement pieces, but each bag totally gives me a sense of childhood arts-and-crafty nostalgia.